Health care and nutrition has currently become a major interest to public. They believe that their health could be improved and sustained by consuming health supplement or traditional or combination of both products. This interest leads to a great number of traditional and health supplement products are widely available in Malaysia. The claims and medical uses of these products are usually based on information and common use of older generations. 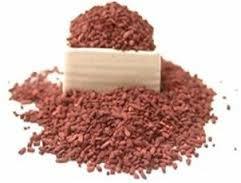 Red Yeast Rice (RYR) is one of the choices among these products. It is commonly used in China and other Asian countries for lowering blood cholesterol level. It claims to be useful in improving blood circulation, alleviating indigestion and diarrhoea. It can also be used as colouring agent, food additives and preservatives. Though RYR is a natural products, precautions are still necessary when consuming this products since experts have not studied it extensively. The long term safety and ideal dosing of these products are also unclear. The extracts of RYR is obtained from a rice fermentation process owhich uses a type of yeast called Monascus purpureus. The extracts contain monacolins, sterols, isoflavones, and monounsaturated fatty acids or ‘healthy fats’. 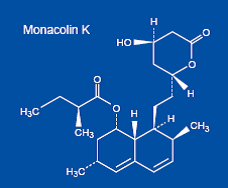 A study has shown that monacolin K structure is similar to statin or lovastatin, a pharmaceutical drug, that can lower the blood cholesterol level. 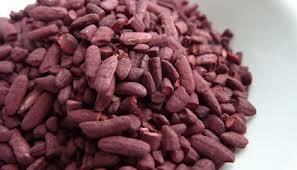 the dosage of Red Yeast Rice (Monascus purpureaus) shall not be more than 10mg per day. Due to the fact that the amount of monacolin K or lovastatin may vary among different brands (due to variation in fermentation process and type of yeast been used) therefore the manufacturer is responsible to ensure the consistency of lovastatin content in the finished product. . 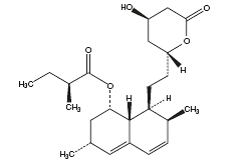 The manufacturers can determine the content of lovastatin in their product by using liquid chromatographic method. RYR may have side effects such as bloating, gas, headache and heartburn. The common side effects of lovastatin may also anticipate when taking a product containing RYR such as increasing in liver and muscle enzyme which may lead to liver related problems or disease. Do not take this product of you have allergic problems to fungi and yeast. Some of RYR products marketed in Malaysia do not conform to the labelling and DCA requirements. Therefore, consumers with underlying disease are encouraged to seek professional advice before taking this product. Consumers should also undergo a medical check up if suffer from allergic reaction or side effects after taking this product.